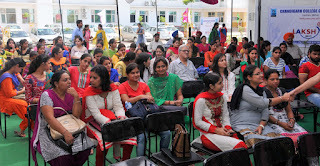 Chandigarh 30th July:- Chandīgarh Group of Colleges Landran organised Mega Job Fest for B.ed students at its campus in which students of various colleges of tricity participated. 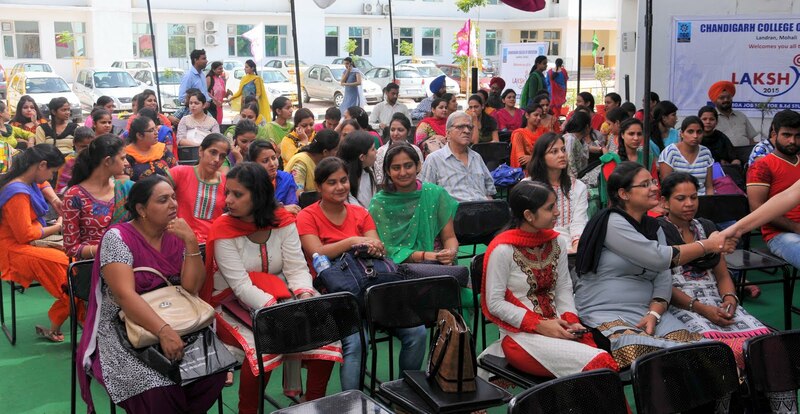 As many as 124 students were selected by around 26 schools from the tri-city of Chandigarh, Mohali and Panchkula. The objective of the placement drive was to provide rewarding job opportunities to the students in best schools across states. The placement drive commenced after giving the students a detailed presentation of School profiles, their career path, selection process, job profile and salary package. The selection process consisted of written test, personal interviews. The qualifying students were shortlisted for the Group discussion after that the students were lined up for the Final Interview. After a thorough elimination and selection process the final list was declared. The participating students also had an interactive session with them wherein they cleared their doubts on various issues like, job profile, growth prospects, salary package etc. Chairman Satnam Singh Sandhu & President, Rashpal Singh Dhaliwal congratulated the students who secured job offers .He encouraged them to prepare well to succeed and enter their professional life on a winning note. They further added we not only focus on academics but inculcate life skills and values in our students, so that they are professionally equipped for the field.